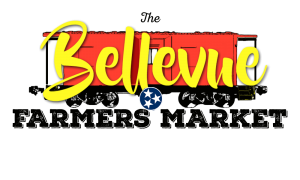 In May 2019, The Bellevue Farmers Market will return for its 7th season in Bellevue! The BFM features locally grown produce, sold directly by the grower. Our mission is to provide our customers with a wide selection and variety of locally sourced food. Not only do we feature produce that is fresh from the farm, we also have a wide variety of cheese, honey, breads & baked goods, local meats, jams & jellies, and soap. Starting in late May 2019! Interested in being an acoustical performer or volunteering at the market? Check our MUSIC and VOLUNTEER pages! Feel free to reach out to us anytime! We'd love to hear from you! Contact Us.